For video marketing, it’s important to know which platform is the most effective and reliable. Wyzowl, a company that creates explainer videos, surveyed 459 marketers worldwide, finding the most effective social media for video marketing. Not surprisingly, YouTube and Facebook topped the charts as the most effective video platforms. Instagram, LinkedIn, Twitter, and Snapchat follow behind. YouTube is the best video marketing platform. Targeting users aged 18 to 49, YouTube explainer videos were found to be 78.8 percent effective. Only 12.6 percent of the surveyed marketers don’t use the platform. Because YouTube is entirely free, offering a wide variety of videos for every user, it’s no surprise YouTube is number one on the charts. The results of the Wyzowl survey measuring the effectiveness of each video marketing platform. 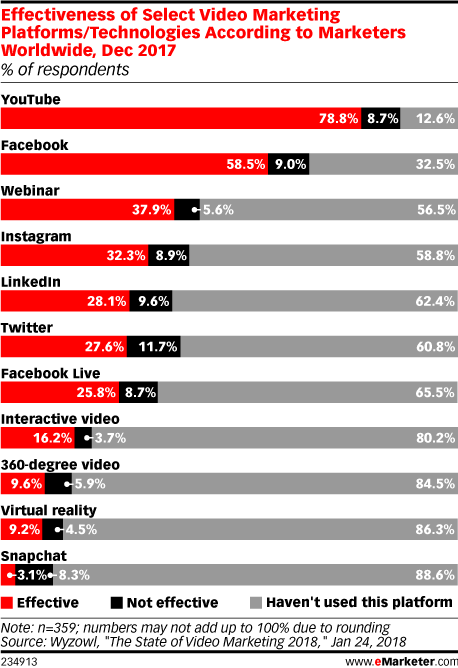 Also, not surprising, Facebook ranked second for video marketing. 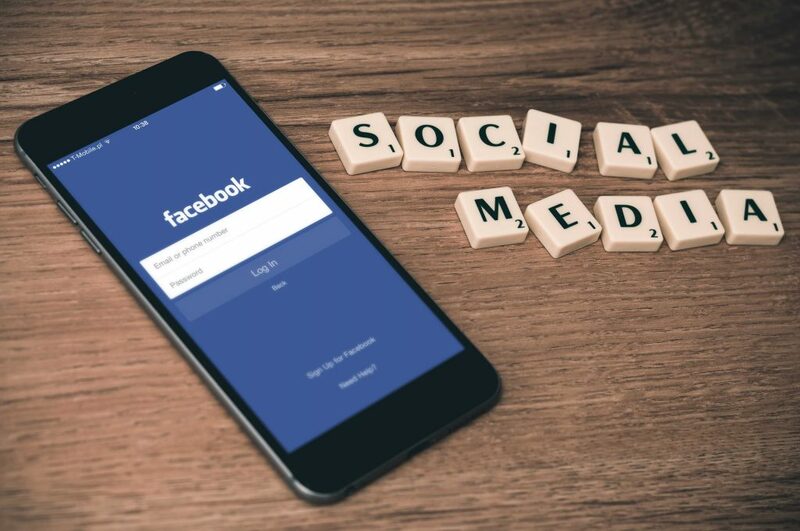 Although Facebook explainer videos were found to be 58.5 percent effective, 32.5 percent of the respondents surveyed don’t use the video platform. Facebook’s targeted age range is users between 18 to 49 years old. Facebook, a free website and app that quickly reaches many users, was found to be a reliable marketing platform. Other websites on the chart are Webinar, found to be 37.9 percent effective, Instagram, 32.3 percent, LinkedIn, 28.1 percent, and Twitter, 27.6 percent. The numbers continue to drop with Facebook Live, interactive video, 360-degree video, and virtual reality. The most surprising of these statistics is Snapchat. Snapchat, at the bottom of the list, is only 3.1 percent effective in video marketing. Admittedly, 88.6 percent of the respondents in the survey do not use this platform, but that only plays a small part in the falling statistic. One reason for the high amount of respondents who don’t use Snapchat is Snapchat’s marketers, who only target smartphone users between 18 to 24 years old, are mostly in North America and Europe. On the worldwide scale, this makes up less than 36 percent of the market. Despite the small number of Snapchat marketers, Snapchat’s ad revenue is expected to increase between 2018 and 2019.